1 Million for Work Flexibility has more than 100 organizations on board to date as part of our coalition—and counting. We’re pleased to share more information about our supporter Enago in this Q&A. Brilliant ideas from outstanding researchers can make the world better, but only if those ideas are communicated effectively. When researchers need help with that communication, many of them turn to Enago. 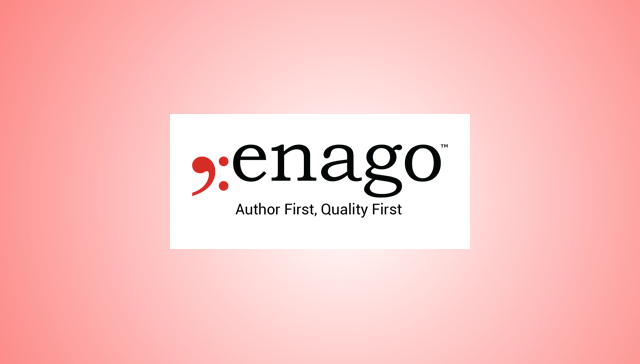 Founded in 2005, New York-based Enago provides a variety of high-quality, English-language editing services to authors in subject areas from medicine and engineering to life sciences and the arts. Its team of professionals has worked with researchers in more than 125 countries, editing more than 600,000 manuscripts and assisting more than 2 million authors with their publishing needs. The company’s goal is to help aspiring researchers fulfill their dreams of successfully publishing in the best scientific journals, and its “Author First, Quality First” approach is the key to that endeavor. Equally vital is the knowledge of diverse industries and outstanding skill-sets of its workers around the world. Enago employs hundreds of freelance editors, in addition to workers in offices in Tokyo, Seoul, Beijing, Shanghai, and Istanbul. It has grown quickly to become a global game-changer, and offering various kinds of flex work has helped to foster its progress. It also educates clients through the Enago Academy, which includes interactive training workshops, resources, outreach programs, and industry forums to help authors in the publication process. All of these offerings work together to help Enago’s clients spread the word of their discoveries, so people everywhere can read the how, when, what, where, and why of ideas that will change the world. In this Q&A, Robert Kasher, Vice President-Strategic Alliances for Enago, talks about the challenges and opportunities of operating a global company, the corporate culture that has helped the business thrive, and the role flexibility will continue to play in its future growth. 1MFWF: What are some of the key components of Enago’s corporate culture? How has this influenced the company’s growth and progress? Enago: At Enago, we constantly encourage innovation and nurture nascent, yet brilliant, ideas; out-of-the-box strategies; and creative renditions of minds that work together to progress steadily. Our corporate values—Integrity, Commitment, Simplicity, Kaizen, Wow, and Respect—are ingrained in every individual and team. We aim to ace every project that we undertake to help our clients get their ideas and research published in the intended medium. So far, our pool of highly skilled freelance professionals, along with a dynamic and constantly growing in-house team, have served over 2 million clients spanning across 125+ countries. Over the past few years, our energies have been focused on developing pioneering technology and services for author education. As a result, we now have an ecosystem that is both compelling and totally flexible to the local needs of the author, and this system is continuously upgraded. We are not mere followers, but creators in a league of our own. We employ a unique amalgam of pure skill and trailblazing innovation to always provide the best support to the scholarly community worldwide. We have also made significant investments in services to build a truly effective ecosystem for authors, which are now live, making our workflow a strong and robust one. This combination has led us to grow exponentially in the last few years. 1MFWF: Enago depends heavily on freelance editors. How many freelancers do you employ at any given time, and what are the challenges and opportunities that result from using such a distributed workforce? Enago: We work with more than 850 freelance professionals, at different capacities (project basis, part-time, and full-time). Our workflow setup also helps freelancers to better balance their professional and personal priorities. Moreover, the opportunities that come with a distributed workforce are immense. Because of our global reach, we have balanced time zone coverage, allowing us to cater to the requirements of our clients located in different parts of the world. In addition, both the onsite team and freelancers get to interact with each other, and this two-way knowledge sharing is vital for our work culture. Obviously, challenges come with opportunities, and it is no different for us here. However, we try our best to mitigate them by staying in touch with our freelancers despite the technological advances, through different engagement strategies. We realize that it is important to maintain the human touch, and we definitely live by it. 1MFWF: How many people does Enago employ in addition to its freelance workforce? What kinds of flexible work options are available to them, and how has that changed over time? Enago: In addition to our freelance employees, we have 400+ in-house staff. Flexible work options have always been available to specific teams according to the functional requirements. Our culture is one of high trust between managers and employees, which means that employees are free to structure their own time in discussion with their managers. Over time, we have introduced several additional benefits to our in-house employees, like paternity leave, bereavement leave, and adoption leave, keeping in mind the needs of our employees, particularly in special circumstances and significant personal milestones. We also follow a ROWE (Results-Only Work Environment) approach for specific non-client-facing teams, where emphasis is on results and quality of work rather than physical presence in an office. In addition, we provide remote working opportunities to teams that can have access to information outside an office, with emphasis on compliance, transparent communication, and an intentional atmosphere of open dialogue. We generally review these options semi-annually and try to add benefits for our employees. 1MFWF: Enago has offices and workers worldwide. What are some of the challenges of running a global company? What are some of the benefits to both Enago and its clients? Enago: Adopting a global strategy brings clear benefits to any organization—the scope to access new markets, new clients, new suppliers, and new partners. These benefits can also lead to secondary ones—for example, building a customer base in a new market enables relationships that will enable additional growth and opportunities. Speaking about Enago, we operate globally with regional teams supporting researchers locally. The two foremost challenges that we encountered were (1) following local compliance and regulations and (2) adapting to cultural and language requirements. We are also aware that high-performing global companies consistently score lower than more locally focused ones on several dimensions of organizational health, which is why we primarily focus on the key regions in which we cater to authors. This is also why we are prepared to handle customer service calls from these regions and can support them with local payment channels, invoices, etc. We also ensure adherence to cultural boundaries to run effective CRM (Customer Relationship Management) and marketing campaigns for our clients. Some of the benefits of being a global company include being able to help an exponentially greater set of clients find solutions related to scholarly communication and publishing; getting access to a diverse pool of potential employees with unique skills and mindsets; and gaining new perspective on establishing relations with customers from different cultures, regions, and backgrounds. The benefits are two-sided, and our clients also get the benefit of working with a company that has access to a multitude of resources and skill-sets. 1MFWF: As it develops new partnerships and services, Enago appears poised for continued growth. What are you doing to position the company for expansion in the years to come? How will flexibility help you achieve those goals? Enago: Continued business growth for any organization is not just about revenue or profit. At Enago, along with investing in innovation, expanding our offerings, and building strategies to strengthen our position in existing and new markets, we strongly believe that training and development of staff is critical to their understanding of the business and their engagement with it. These two aspects are key to boosting productivity and establishing a healthy growth plan. We are generally open to experimentation when it comes to providing add-on services to our customers, but because we know that it is very difficult to get an idea of the results of our undertakings, we carefully plan our strategies so that we can give our employees and ourselves the best possible chance of continued success. Expansion-wise, too, we have always made calculated moves about our resources and have never compromised on the current high quality of service we provide our customers. Flexibility ensures that our goals need not be sidelined because of resource or geographical constraints. We have also seen an increase in our business because of our global freelance hiring. Moreover, our key services—scientific editing, translation, and publication support—are creative in nature. Flexibility in terms of onshore and offshore outsourcing allows us to adapt our work planning according to the needs of the project, as well as the freelancer. Eventually, this creates a positive ripple effect on both local and global economies, because companies like ours that are professionally engaged in the knowledge economy can contribute to more people having greater access to broader career opportunities.